did you order the Aux Board with any special requests regarding the resistors or just as is? oops, typo in the previous post that I corrected, thanks! Lexel will let you pick whatever you want. My impression is each aux board is made to order. The outer circle and middle circle are very close to the same diameter. Groups of 2 of the outers and 1 of the middle form a tight triangle, with 4 groupings around the board. Most of what is visible in the not so great picture above is the warm white and ice blue. The purple and red did not really come out well in the picture. It looks much better in person I think, but the picture gets the idea across. It looks a bit different depending on the angle you look at it which I like. I have one with green only and one other board with blue only. switching over to sst20 sounds tempting . . . . .
Well I own quite a few lights and some decent emitters already (219A/B/C in different taste, LH351B/D and some 3000K/4000K SST20…) and the SST20 are a really good compromise. 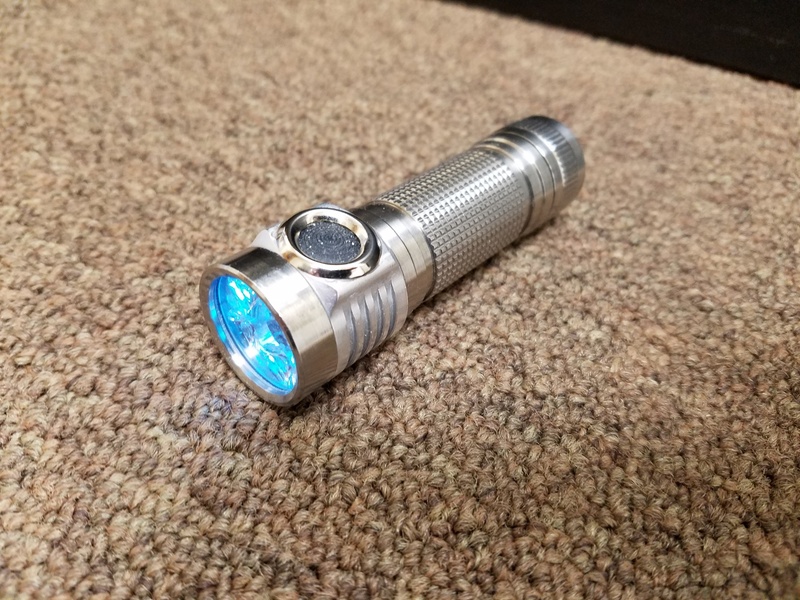 My D4 has 2*3000K and 2* 4000K and is my EDC for the winter. I have two emitters XP-L HI V2 3A and two 5D. Not sure what the CRI of them are but I like the light they produce. Can anyone explain the difference between 219s and the LH351s? Are the Samsung LEDs more efficient? there are different Samsungs. LH351C and D. D has bigger die like XPL. they are more efficient. But 219b high cri has the best tint + color imho. 1. 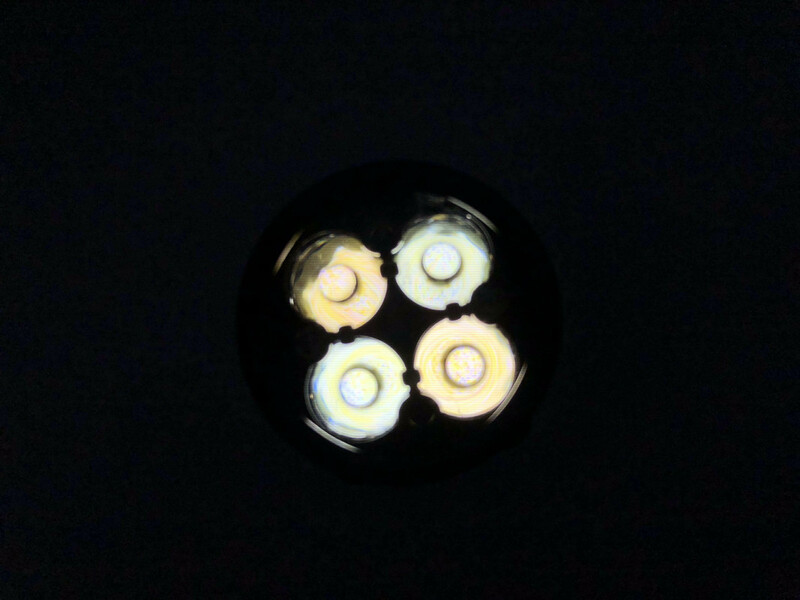 The LH351D 90CRI is the most efficient high CRI LED, but is more geared towards flood. 2. The 219Cs are the easiest LEDs to find. 3. The 219Bs have the rosiest tint and equal color rendition. It doesn’t actually reproduce the colors the most accurately though, and is the least efficient LED here. 4. 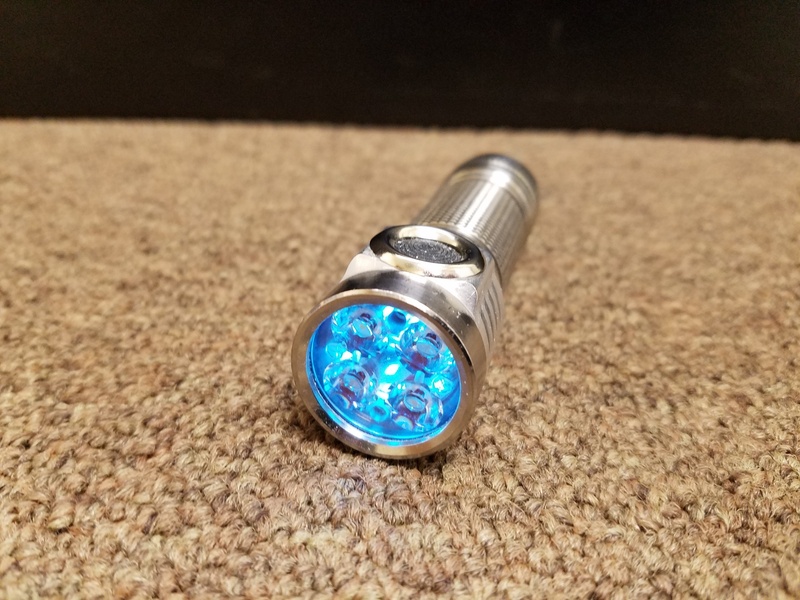 The SST-20 is the throwiest high CRI emitter, has better color rendering than the 219C and LH351D, and is the most accurate emitter in terms of color rendition. In fact, if it had a rosy tint like the 219B, the 219B would immediately be obsolete. It looks excellent regardless, but most people here prefer rosy tints rather than pure white tints, or very slightly green. Thanks for the tips pointing me in the right direction. Grats! Hoping to do something with my D4. I’ve ordered aux led boards from Lexel. Looking forward to installing them in my D4 lights when they arrive. Hit a snag with Anduril flashing, but hope to have it ironed out and working soon. Nice work! what sort of control do you have over the Aux board? While I don’t like some blinkies, I do find the bike light blinky very handy at times. I would go for that, candle and lightning. Pöbel I assume you patched out the parts of the code for the blinkies that you dind’t want. The strobes do not run at 100% power in Anduril am I right? Have photo of inside the tail cap? The inside looks stock, in fact the tail is 3mm thick so the magnet is flush to both sides (inside and outside). Finally succeeded in flashing my Emisar D4 with Anduril tonight!!! I then promptly configured the double-click shortcut from off to turn the light on at a lower setting (I did 51 clicks instead of the default 31). This is on my bare aluminum head / titanium body D4. I had previously installed a washer around the button making accidental activation unlikely, but now with Anduril installed even if by some chance the button does depress and ramps up it will stop before it burns a hole in my pocket. I need to flash my other D4 lights the same way, but I think I’ll do that another night. Never was able to get Windows to allow AVRdude on my desktop. I installed it on my laptop and flashed from that. The instructions were about right, except that the first try AVRdude failed to find the hex file. It erased the ATiny, but couldn’t find the new file to put in its place even though I had it inside the AVRdude install directory. Fortunately, a quick edit to the command line to include the full path to the hex file did the trick. Anduril with its vast customization options is just a work of art. That looks nice CRX. what did you use for the new switch boot? Is your modded D4’s switch still waterproof? I wouldn’t go swimming with it but waterproof enough. The final version has the LEDs & switch under a thin clear silicone sheet and diffuser film with a section of 14mm carbon fibre tube pressed onto it/ into the switch well then a piece of 12mm acrylic tube glued into place as well, then the black kydex switch cover was siliconed to the clear silicone sheet just under flush with the top of the inserted tubes.